PBL engages students in collaborative problem-solving almost every day. Hands-on learning, designing, and creating are integral aspects of PBL. What is PROJECT BASED LEARNING (PBL) and Why is it Important? PBL, or Project Based Learning, is a teaching method that engages students actively in learning by asking them to investigate an interesting and complex question, problem, or challenge, and then to create something in response. 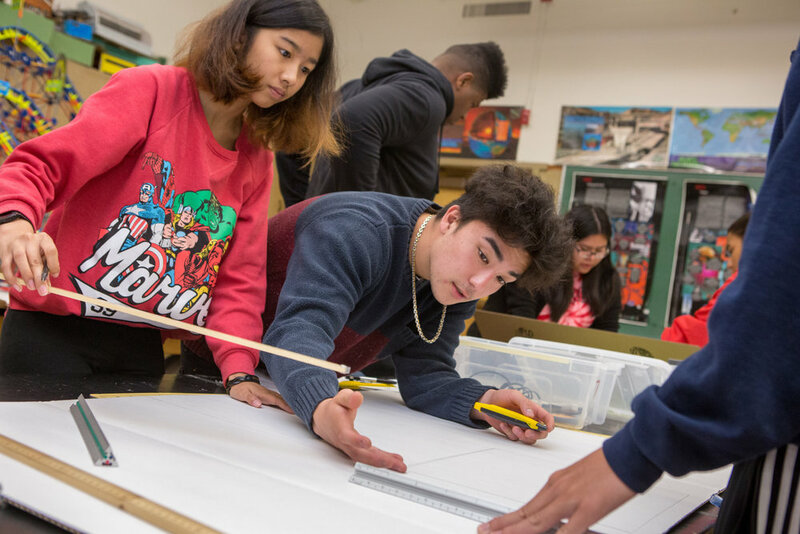 Students engage in large, meaningful projects that require creativity and bring to bear skills and knowledge from multiple disciplines to solve real problems or build something for the benefit of the community. It is hands-on, collaborative, and challenging for students, who see the real-life or personal relevance of what they are learning—think “students doing, not teachers telling.” Projects can vary in length; some may take a week or two, others a month or more. Projects may be done individually, in teams, or by a whole class. PBL gives students more responsibility than they think they can handle, but supports and guides them through the challenge. Once students realize they are capable of greatness, they are forever changed. They will have the skills to succeed in future jobs—even those that haven’t yet been created. Technology has revolutionized the way the world works, and continues to do so at a rapid pace of change. The expertise required to succeed in today’s information economy are more reliant on skills, and less so on memorization of basic facts—technology has reduced the need for this. The skills most sought after today are taught through PBL—problem solving, communication, soft (social) skills, critical thinking, collaboration, using technology effectively, etc. Basic facts still need to be learned, but of greater importance is what students are able to do with those facts. 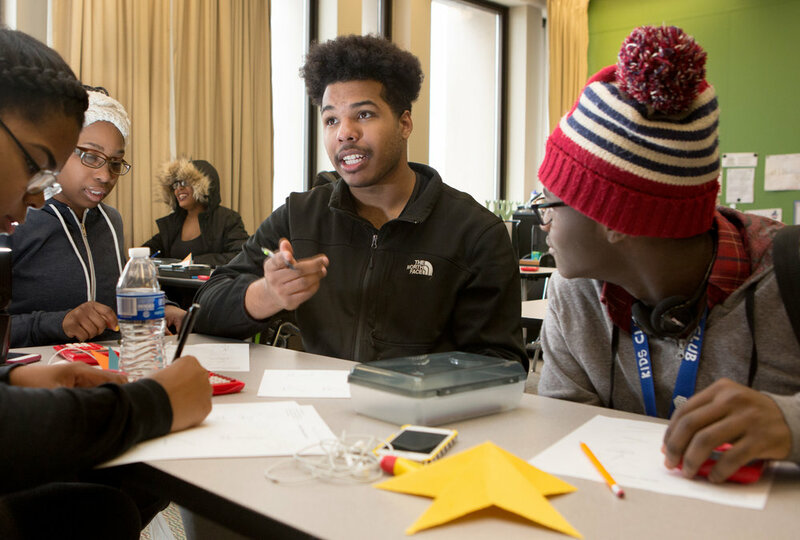 How Does PBL Prepare Students for College? PBL prepares students for college success and PBL schools have very high college acceptance rates. Students from PBL high schools often have more developed and diverse resumes than typical high school graduates, and they also have a portfolio of work they can discuss and include with their college application that demonstrates the work they’ve done—setting them apart from other applicants. Many PBL students learn skills that enable them to start a business while in high school, filling their resume with skills and experience that can make them immediately successful in college or the working world. Public exhibitions of student work is an important part of PBL. PBL teaches students resume-building skills that are relevant to life outside of school. PBL is done for a public audience, creating authentic and purposeful learning. PBL creates students who are innovators, creators, artists, scientists, writers, historians, designers, and entrepreneurs. PBL engages students in real-world work—work that professionals in the field do on a regular basis. Students become effective problem solvers, communicators, designers, thinkers, and collaborators—ready for success in today’s economy. PBL promotes deeper learning and students retain the knowledge and skills long after the class ends. At the end of a project and at the end of each semester, student work is publicly exhibited. This allows students to learn to communicate well, speak with adults in a professional manner, and become comfortable speaking and presenting to others. Do teachers teach the Colorado Academic Standards and do students take tests? Yes, the learning of specified subject-matter concepts and standards is at the heart of PBL. Teachers weave their content standards into the projects for their class. Standards that do not fit within a project are taught outside of projects. As for testing, 5280 administers required state standardized tests, as required by law. Tests like the SAT or ACT are important in applying to college and it’s critical that students are adequately prepared to take them and do well. Students at 5280 take tests just like at any other high school, but they aren’t the only way to assess what students have learned. Additional assessments are also used—for example performance-based assessments that allow students to demonstrate their learning in ways other than a written test. PBL students communicate with their peers and adult staff daily. PBL allows for more personalized, rigorous learning for all, within a classroom of students with diverse strengths, interests, and passions. Is PBL effective for students who learn differently? What about Gifted students? English Language Learners? PBL is a great way to learn for students who require different approaches, have a learning disability, or are gifted. PBL inherently personalizes the learning and allows students to engage with the project at a level that is both accessible but also rigorous to them. PBL allows all students to be challenged at the appropriate level and to grow. 5280 has Academic Coaches in classrooms to assist students with IEPs individually and in small groups. 5280 is a full-inclusion school. PBL is also an effective learning style for English Language Learners. PBL requires more verbal communication than in a traditional classroom, so students learning English have more opportunities to practice their skills and communicate with others. 5280 has ELA Coaches in classrooms to assist our language learners directly and individually. Has PBL been proven effective? Interested in Learning More About PBL? For more information on the "why" of PBL for today's economy, click here. These great videos (here, here, here and here!) further exemplify the teaching style & projects of PBL.